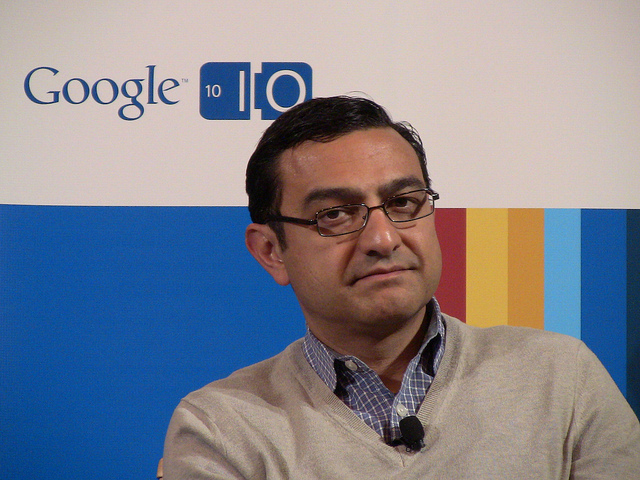 Vic Gundotra, Senior VP of Social Business of Google, shared some of its recent numbers and learnings on G+ at the Google I/O event today. This is the one-year anniversary of the social layer’s launch, and the company is proud of how far it has come. Speaking to Gundotra and VP of Product for Google Apps, Bradley Horowitz, this week in Mountain View, the two talked to me about how Google sees the traction of the service thus far. What most people get wrong is that they compare Google+ to most competitors. It’s not Google+, its Google. YouTube, Gmail, and Google+ is the social graph that we’re growing, and to bring them into one Google experience. In addition to building out its own social graph, the company has put quite a few resources into gelling all of its products together, as Gundotra told me that for an entire year, except one friday in August, the Google+ team shipped a new build every single day. Relevance, we’re pretty good at it. Search relevance. This makes our core better. As far as Google+ becoming adopted by enterprise companies for collaboration, Gundotra said: “We’re just getting started there,” so definitely keep that in mind moving forward. I’d still like to see a full Google+ API, and I’m sure there are some developers here at the conference who agree.